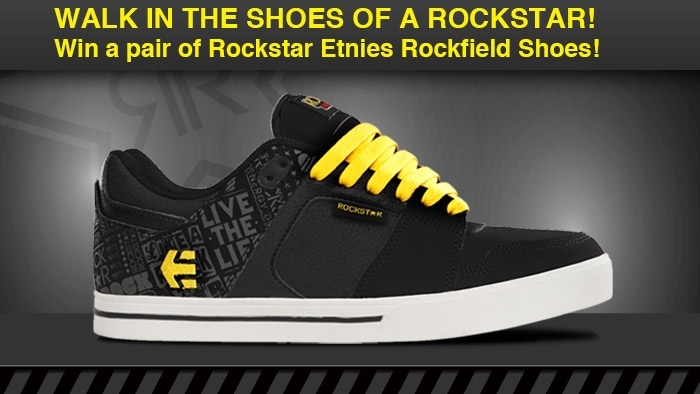 Win a pair of Rockstar edition Etnies Shoes! Go to http://www.facebook.com/rockstar to enter! Sweepstakes ends March 22, 2013.